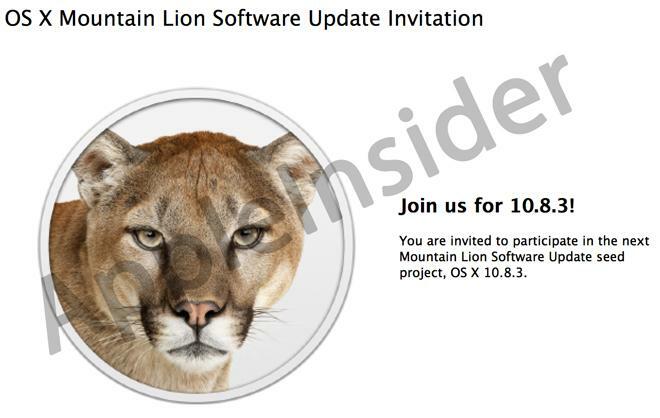 People familiar with new beta, dubbed build 12D38, informed AppleInsider that the latest pre-release builds are now available through Software Update with a tool called "OS X Software Update Seed Configuration Utility," allowing developers to access new builds in much the same way as consumers. When new seeds are made available, Apple will reportedly send out notifications to install the update via the Mac App Store, these people said. Email notices will also continue to be sent out. As with the build released at the end of November, Apple is once again asking developers to focus on AirPlay, AirPort, Graphics and Game Center, but adds Safari into the mix with 12D38 without offering further explanation. Known issues in the newest build mostly deal with graphics issues like blank or black screens when waking a machine from a sleep state, switching between applications or using VNC to remotely control a Mac. For consumers, the most up-to-date version of OS X is 10.8.2, which was brought unified Messages support with phone numbers for Mac and iOS as well as system-wide Facebook integration to the operating system in September.